Keeping up with the Eric Greitens drama is no easy task. Each week, several major milestones are reached in what has been the most bizarre and scandal-ridden two years in Missouri government history. Last week's biggest item may be the most historic to date: just one day after the release of a second report by the House Special Investigative Committee, members of both legislative chambers gathered more than enough signatures from themselves to call the General Assembly into a special session. The session's purpose is exclusively about Governor Greitens and will determine if disciplinary actions, including impeachment, will be taken against him. This is the first time in state history the General Assembly has called itself into a special session and could be the first time a Governor will be impeached. The special session will officially begin shortly after the regular session ends on May 18 and run for up to 30 days. While we wait on the special session, the courts continue their work with the criminal charges brought against Greitens. Jury selection begins this week for the felony invasion of privacy charge where the trial is set to begin May 14th in St. Louis. Every motion made by the defense to strike witnesses or move to a bench trial has been denied. Simply put, Greitens' defense team's argument has been that he is too famous now to get a fair trial, but he's totally innocent. Rampant speculation over the weekend points toward Greitens using the 5th Amendment to avoid perjury charges and to keep his story straight in public. How all of this ends is still anyone's guess, but most signs point toward impeachment by the House sometime in June. If that happens, the Senate will select a panel to determine if Greitens will be removed from office. 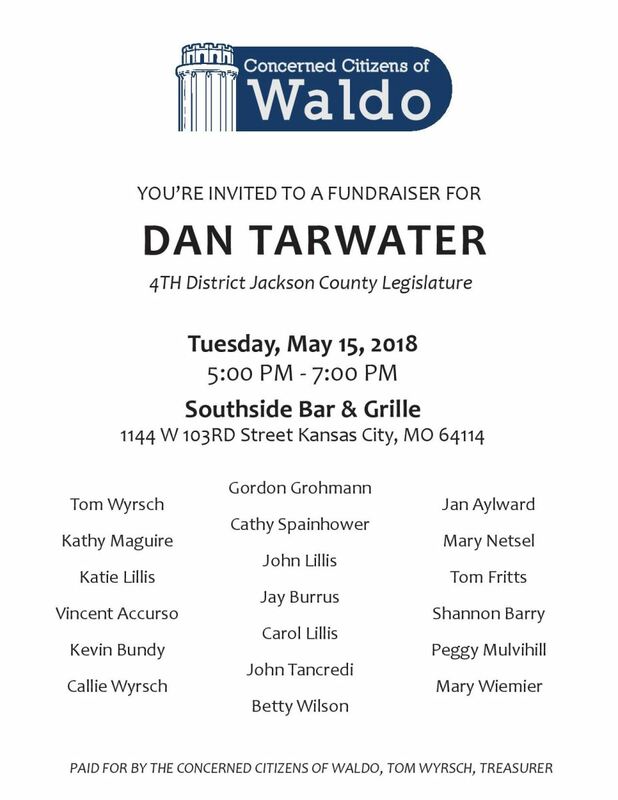 Thank you to our sponsors: International Brotherhood of Electrical Workers, Jean Peters Baker for Prosecutor, Plumbers and Gas Fitters Local 8, UAW Midwest States CAP Council, Pipefitters Local 533, Operating Engineers Local 101, Missouri NEA, TJP Strategies, Jalen Anderson for Jackson County, International Association of Firefighters Local 42, Greater Kansas City Building & Construction Trades Council. Do you or someone you know want to see how campaigns work behind the scenes? We're looking for a few good interns this season to join us for an educational experience rolling between now and November. Priority given to people with experience in website maintenance, Excel, or working with volunteers. Email geoff@jacksoncodems.org to apply or for more information. Keri Ingle Volunteer Event: Saturday, May 19. Volunteer action and training in two shifts (please arrive about 30 minutes early for the training portion); first shift starts at 10am, second shift at noon. 705 SW Winterwalk Ln. Lee's Summit, MO 64081. We will be knocking doors, making phone calls and writing postcards to area voters. RSVP HERE. 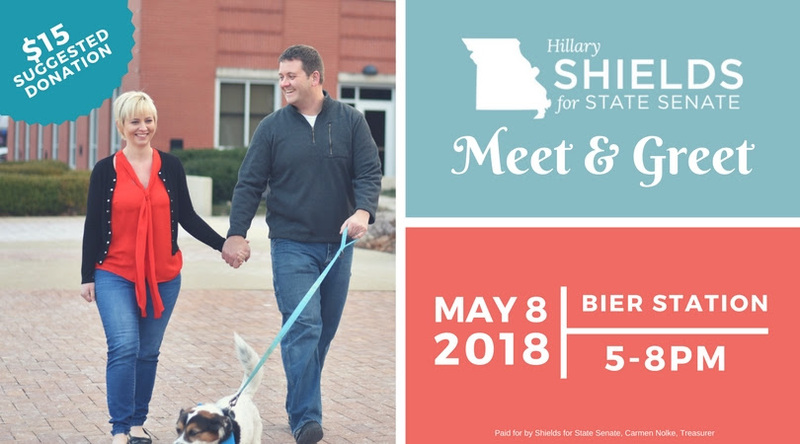 State Coordinated Campaign Offices: Be on the lookout in the next three weeks for campaign offices to be opened in Kansas City and Lee's Summit. 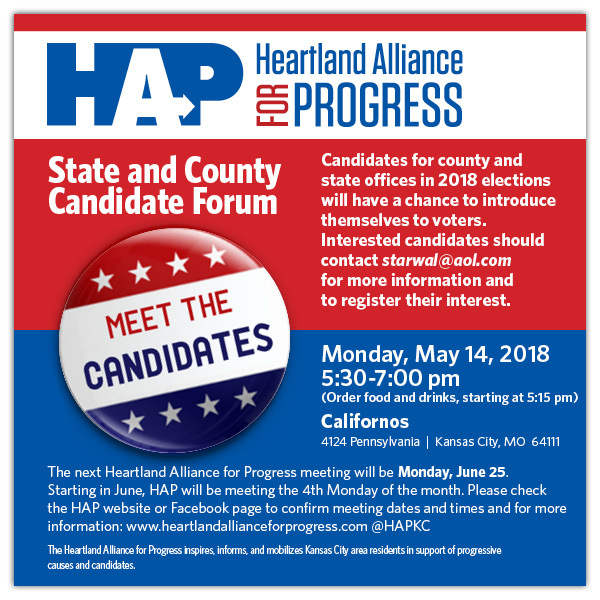 These will be hubs of activity for anyone who wants to volunteer for McCaskill, Galloway and local candidates. Two will be open by early June and possibly more in the area shortly after. Post Card Writing Campaign: Do you want help voter turnout for the June election in Clay County? Do you have legible handwriting? Contact Geoff and learn how you can help get postcards out at the end of the month: geoff@jacksoncodems.org. It's super easy! We'll be using the same strategy in November too. 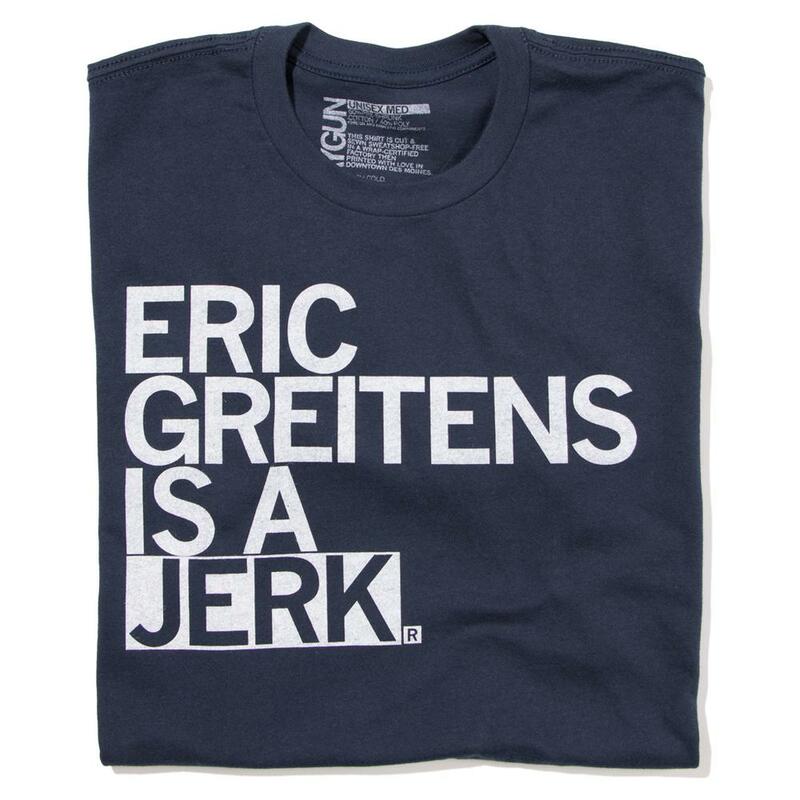 JUST 10 LEFT: Eric Greitens Is A Jerk T-Shirts! 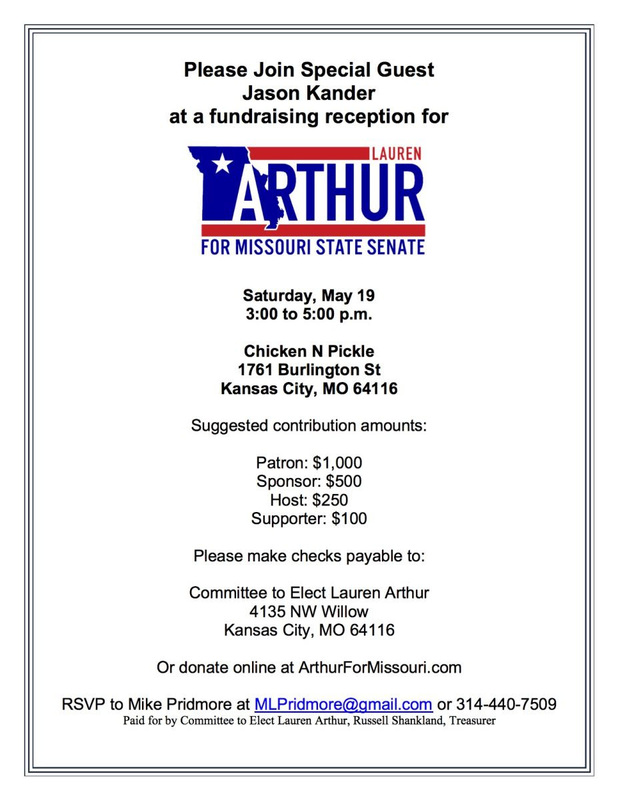 Please join Winston Apple for can evening of dinner and politics on May 17th at Sinclair's restaurant located at 1402 NW Hwy 7, Blue Springs, MO, 64014 from 6-8PM. Winston will be speaking about "Our Promise to America" and why he is running for office. He would like to meet you and hear your questions, concerns and suggestions. For more information, contact Michele Dickerson at 254-415-9605 or msizemore.ms@gmail.com . We will see you there! 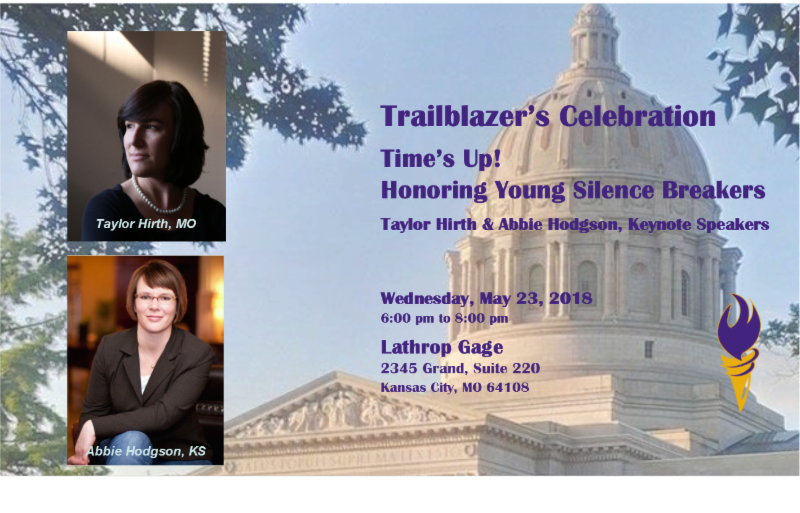 These two exceptional women will share their stories of speaking up to stop inappropriate behavior in the Kansas and Missouri State Legislatures. Join us in celebrating our honorees and their commitment to our state legislatures. The reception begins at 6:00 pm, with the program at 6:30 pm. Your attendance helps support the Greater Kansas City Women's Political Caucus's mission of increasing women's participation in politics.